It’s now estimated that the San Diego commercial lease market will hit bottom in 2010. Whatever the future has in store for commercial real estate, the present news is not good for commercial property owners. Office vacancies in San Diego are at almost 20% and retail vacancies, while not as high, are still significant at around 8%. It’s likely that most commercial property owners in San Diego cannot remember the market every being this bad. With vacancies so high, commercial landlords are forced to negotiate better lease terms in order to retain existing tenants and to attract new ones. In this highly competitive market, it’s the smaller commercial property owners that are being hit the hardest. The competition for new tenants is tough. Larger companies can afford to offer cash incentives for improvements, free rent for six months and significant first year discounts to lure the most attractive tenants, leaving smaller properties desperate to fill their empty space. For many smaller property owners, the only way to compete with these incentives is rent reduction. It’s an economic reality that commercial property owners of all sizes cannot get around – continued downward pressure on rent coming from all sides. Offering incentives to prospective tenants is a good business decision for those that can afford it. For those that cannot, holding on to existing tenants is of paramount importance at least for the foreseeable future. As the market continues to tighten, landlords are beginning to recognize that existing tenants are their most valuable asset. There is little to be gained by eviction of a tenant who can pay partial rent if it proves difficult if not impossible to fill the space once the eviction process is complete. Moreover, existing tenants are known quantities. A tenant with a history of timely payment and who is not constantly at odds with the landlord is a good tenant. This is also the type of tenant that will remember a landlord’s goodwill during tough times. While it may be impossible for smaller commercial property owners to offer cash incentives to prospective tenants, they may be able to afford accepting lower rents for a fixed period of time to keep existing tenants. This also provides the landlord with some control over the term of any renegotiation. Of course, not every tenant is a good tenant. 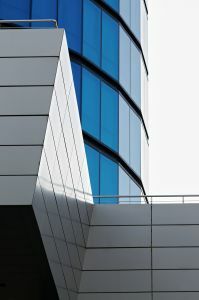 However, commercial property owners of all sizes should carefully weigh the benefits of keeping existing tenants against the cost of eviction and the all too real risk of empty space. Struggling businesses are increasingly aware of the tightening market and, with or without the assistance of a commercial lease lawyer, are approaching their landlords hoping to trade on their track records to stay alive.